The roughly 10 million undecided voters will have to make their choice on Sunday. The countdown has begun. Given that this election is likely to be a close race between Pheu Thai and the Democrats, both parties are seeking to win the hearts and minds the undecided voters, particular in Bangkok. Although the argument that polls can have an impact on voters as well as electoral outcomes remains contested among academics, the fact that Pheu Thai is leading in all the major polls taken in the last week of June (see graph below) bodes badly for the Democrats. Notes: Dusit Poll (4-18 June; 102,994 respondents); Nida Poll (7-8 June: 1,338 respondents); ABAC Poll (1-21 June; 5,349 respondents); Bangkok Poll – BKK residents only (16-22 June; 3,338 respondents). For ABAC poll, the percentages of voters intending to vote for either PT/DP are based on the portion of already decided voters. Sources: Matichon Online, Sanook News, RYT9 News, MThai News. For the undecided, below is a summary of key rival policies between the two parties. Pheu Thai: Raise minimum wage from an average of around 200 baht/day (provincial rate differs) to 300 baht/day. DP says that raising the minimum wage gradually and over time is more realistic because business owners will be able to adjust accordingly. A major hike (like PT) is impossible for any business to adjust. Traditionally the minimum wage is set based on a compromise between labor, business and government. No government can just say the minimum wage will be 300 baht without consulting with the other two groups. PT argues that 300 baht per day can be done and it must be viewed as part of the overall economic policy. The party’s economic plan is in three parts. First you reduce corporate income tax from 30% to 23% and then 20% by 2013. Then you raise the minimum wage to 300 baht as well as raising the wage for university graduates to 15,000 baht per month. The party claims that the money businesses save from a reduced tax rate will offset the rise in minimum wages. Overall, the purchasing power of minimum-wage earners and new graduates will improve. PT: Credit card for farmers and guaranteed price of paddy white rice 15,000 baht/ton; jasmine rice 20,000 baht/ton. Currently white rice sells for 8,000 baht/ton and jasmine rice 13,700 baht/ton. 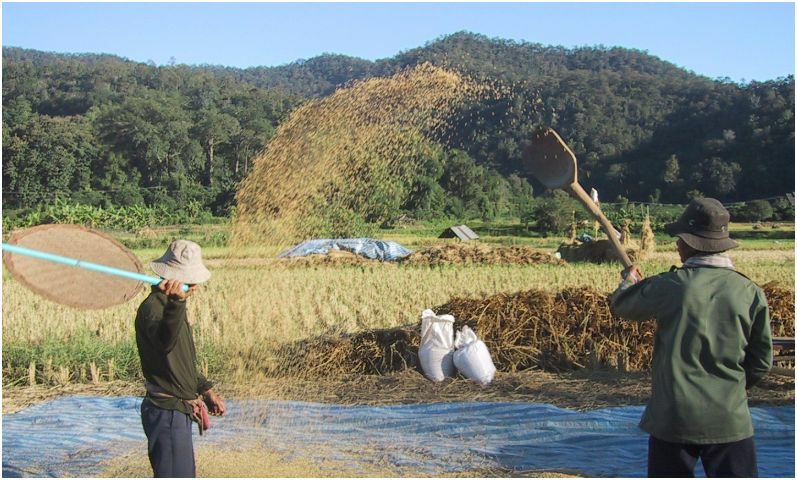 Farmers can set up a joint rice scheme 50:50 with the state-owned agricultural bank and the bank will give each farmer credit of up to 70% of expected income from their rice, based on the guaranteed price of 15,000 baht/ton. 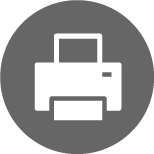 They can use this credit to buy raw materials, seeds or fertilizers. The crop mortgage program will be supporting this plan so farmers can pledge their rice with the bank if they expect market prices to exceed the minimum level of 15,000 baht. Debts will be deducted from income at the end, interest free. This scheme is designed to give farmers cashflow in between crops and keep loan sharks at bay. A 3-year debt moratorium would also be offered to farmers with debts less than 500,000 baht. Those with debt of up to 1 million baht will have to refinance. The Democrats’ agricultural policy aims to raise farmers’ incomes by 25% through price insurance that now covers rice, tapioca and maize. Development of new seed strains and the expansion of irrigation and water management systems will be a focus. The party vows to accelerate land reform by allocating community land deeds for 250,000 farmers using state-owned property; extending social security to cover 25 million farmers and informal workers as well as setting up special farm economic zones to improve the efficiency of the production and distribution chain. Abhisit has said during the DP campaign rally at Ratchaprasong and elsewhere that PT will give amnesty to Thaksin and return his 46 billion baht. So far Yingluck maintains that amnesty is considered a “political issue” and that it is not a priority for PT right now. PT will work on economic policies first. While statements from Yongyuth Wichaidith, Yingluck and Natthawut confirm that PT has no intention to give an amnesty to any one person, it does not mean PT will not seek an amnesty at all. In fact, both Chalerm and Yingluck were seriously considering the various parliamentary channels for an amnesty just a month ago. Abhisit has declared a Facebook war on PT via his “From the Bottom of Abhisit’s Heart to My Fellow Thais Series” that PT lied outright when claiming that an amnesty is not the party’s policy. DP’s policy is clear: absolutely no amnesty. Abhisit confirmed during the six-party debate on June 23 that the Democrats will not give an amnesty to any one single person and anyone charged with corruption and fraud will be punished accordingly. I doubt that there are that many undecided voters. 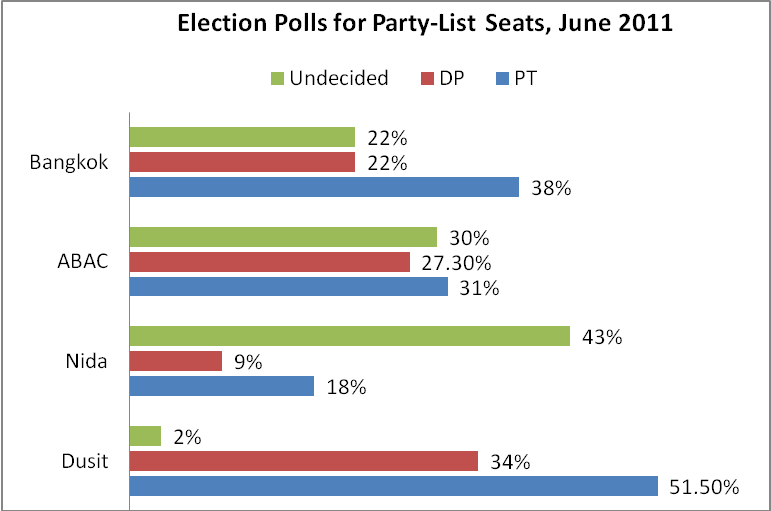 Have a look at the Suan Dusit poll, 4-18 June. This was not only the largest poll (over 100’000 respondents) and the one with the lowest numbers of undecided voters (around 2%). The main difference of that poll was that it was the only poll conducted face to face with potential voters and not over the phone like all other polls. People are much more willing to trust a harmless student face to face than trusting an unknown person on the phone who could even be an army guy collecting information on the “enemy”. In a general climate of intimidation and fear people are reluctant to reveal to strangers on the phone that they are intending to vote for the opposition Puea Thai and show sympathy towards the redshirts. Some supporters of the Democrats may even fall for the scaremongering and might be afraid of revenge by redshirts if they reveal their intention to an unknown pollster on the phone who in their fantasy might even be a redshirt scout. However I believe that the majority of these pretending-to-be-undecided voters could be supporters of the redshirts. I daresay that some of what’s described are factors in the Suan Dusit poll results. Worth noting however that their pollsters also pressed “undecideds” they encountered to say which way they were likely to vote – the s0-called “leaners”. But there’s another factor potentially at play here. In the ’90s in the UK, opinion polling proved spectacularly misleading in terms of reporting anti-Conservative and to an extent pro-Labour sentiment. I forget whether it was still Thatcher or Major as PM by then – but anyway late in the extended period of Conservative governments. By that point, the Conservatives were laughably unpopular and it took a brave soul to admit their intention to vote for them; so, many of those polled simply didn’t admit it to the pollsters. Yet, probably mainly because of misgivings about the Labour alternative, in the privacy of the polling booth they did vote Conservative – and in large numbers. How much relevance this factor has to the current Thai situation depends on a] the level of comparable perceived Dem unpopularity and b] the level of comparable misgivings about PT. I think a] is fairly well present and has generally been climbing in successive polls (unpopularity, remember) – creating a cumulative/bandwagon effect that feeds on itself. Plainly, after an at best token effort to promote themselves positively, the Dem tactic soon switched to an almost entirely negative assault on what they portray as “PT-but-really-red-shirt” – i.e. to create b]. Very unlikely that it’ll work well enough to turn the tide – but I do expect that the actual voting will be substantially less anti-Dem/pro-PT than the polls have been indicating. But, for all the Dem focus on fear-mongering about red-shirts and latterly “amnesty for one billionaire”, it looks (to me) likely that perceptions of how less well-off most people are now compared to the Thaksin years will prove far more influential. Yes, yet again it’s that well-worn cliche “It’s the economy, stupid” combined with a perception that Thaksin delivered most of what he promised – something not obvious about the Dem-led administration. That more of the same in terms of non-reconciliation (therefore more and worse protest trouble) seems assured with a Dem-led government looks to me to be a close second factor. Way down the list of factors come the general policies. The predictable bidding war of who might provide most to most will have left many voters at best promise-weary and more likely promise-cynical. With that in mind, we’re back to Thaksin’s perceived record of delivery counting far more than the quality/range comparison of Dem vs PT platforms. By coincidence (you’ll have to take my word for this), the first thing I see after posting my earlier comment is Bangkok Pundit’s latest blog – engagingly titled “Why the Democrats will lose the Thai election” (http://asiancorrespondent.com/58539/why-the-democrats-will-lose-the-election/). He likewise focuses on the cost-of-living as the key factor. He also draws attention to the Dems’ notably poor connection/communication with the mass of the people – each of whom whom has an equal vote. Sure Prem, Prayuth & Co have and exercise control over vastly more than one vote each – but the basic principle stands. When “HIOGAT” (“He is only good at talking” – rather than doing) sticks so well to Abhisit and what he says doesn’t even register with the broad mass of voters – then you have a truly lethal combination….. In response to Rajprasong’s comment; you jump too quickly to the conclusion about the “undecideds” . If the pollster use phone it will be very unreliable, unscientific sampling method. There are more than 15% margin of error both ways. As a Thai citizen who follows politics closely and critically, I believe there are over 30-35% of eligible voters nation wide who really oppose to both major parties and other “corrupt-as-usual” politicians who only seek to accumulate their wealth or fill their pockets if elected. The so-called democracy Thai style is based on traditional “client-patronage system” , revolving doors politics and failure to create any progress for the benefit of people without hidden agenda to corrupt or seek personal gains rather than for common goods of the people. The past history of Thailand’s failed parliamentary system is the case in point. Foreigners will never understand that getting votes to win election here in this country requires a large sum of money to buy vote outright or to cheat in various ways you wouldn’t be able to imagine. This is the reason why the so-called “Yellow Shirt” (PAD) campaign to solicit “Vote No” (Vote in the provided box of “Do not wish to cast a vote”) is getting strength and perhaps will become a new political phenomena in Thailand. Interesting the Democrats are offering yet another land deal to the poor, wonder if the poor remember which class and friends of the Democrats ended up with all the land last time. Amnesty is hardly worth mentioning, what Thai doesn’t know that Taksin will get one if PT is elected? Polls are interesting I suppose, however the only one that counts is on election day. However the real fun should start after the election. I don’t really see the PAD as a player, we all know now who they really support and their plans for a permanent unelected fascist over-class. Would probably be more dictatorial and corrupt than Taksin, certain irony there.